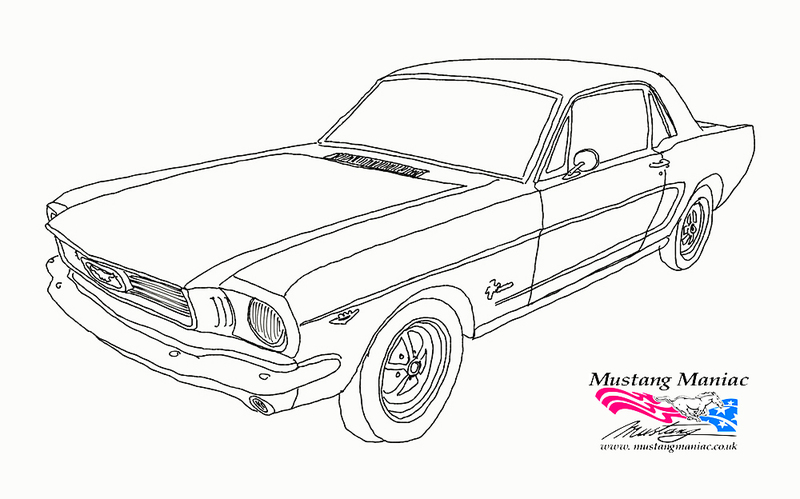 No sooner have we rebuilt The Onion Mustang and we made space for our next project. This comes in the form of a very nice ’68 Coupe Pro Street 302ci. We first saw this little lady in back in October last year where we made our first evaluations of the car. The car is in pretty good condition with a few rust issues like most of them at some point in their lives. The main painted part of the car has a few minor issue that can soon be sorted out without too much trouble. We say Pro Street due to the rear end being pretty much maxed out and tubbed, with some skinny front end tyres as being the first points to notice. Both Yogi and Adam had a good look around the car with some recommendations depending on budget which would mean that there would be discussions later on between the owner and Adam on how best to proceed. Some clever work was done on the rear chassis rails to move them over in order to cater for the massive rear tyres. Not a very common mod, but we have seen variations on this theme before. The trunk was equipped with the race spec small fuel cell and trimmed out very nicely. The guys were interested to see what was under the carpet when trying to evaluate this type of work. But, you can’t just rip out carpet on somebody’s pride and joy of course just to have a little look. So things like this can hide the odd unexpected bad spot. Under the hood was neat, tidy, well presented and made a rather nice noise that got Yogi’s attention as she pulled into the workshop to be lifted up on the ramp. “Rust is like an iceberg, you never know what’s under the surface”. The fenders were taken off the car and the inner fenders marked up for attention. Yogi got the car on the ramps and set to work on the problem areas that they had identified, pretty much they had expected, but certainly not the worst they had seen. The chassis legs will need some attention as they attach to the floor and obviously we need to see what condition all that was in before final decisions can be made. Like The Onion Mustang, the floor was made up of a patchwork of metals, and the patches were more like tin foil in places. The trouble is when you get to this stage you have to keep going until you find a solid metal section(s) to start from. With all the bad metal out the full extent of the repair can be seen. This is nothing that we haven’t seen before and we will surely be seeing it again. With all the rubbish having been cleaned out it doesn’t look half as bad to be fair. We have a couple of foot wells at the front to be replaced so far which is no problem, but we will need to go round the rest of the floor to see that all is well. If we have to patch too much it will be more cost-effective to swap out the floor pan itself. As we have said so many times before, we are quite confident that this little lady will be back ripping up the road in no time. It takes a little time and a lot of knowhow that’s all. There has been a lot of work going on near the main offices and we will be letting you know all about that very soon. I’m not supposed to give anything away, so I picked this little pic doesn’t do that, but it gives you a clue! It’s all very clever stuff! Exciting times this week as we see The Onion Mustang sat in primer for a while and then ready for transporting out to our paint shop, the first time she has seen daylight for a year or so now. The final red oxide and seam sealing gets some Mustang Maniac TLC. Yogi started masking the car up ready for primer and blocking down again, his favorite part of the paint process. Like all these projects, nothing seems to happen for weeks as the prep work takes up the time. Anybody can bolt a fender on, but the gaps need to be set properly to make the car look right. That’s either cut the metal away or build it up to make the gaps consistent. We can say that as we have learned from experience and listened to what the customers want with their cars. We were briefed that the convertible chassis should be solid and not wallow around as it were as most convertibles tend to do. We will now show you a little trick we have perfected; an additional plate welded into place to strengthen the front end up. We use various thicknesses and sizes of plating depending on the requirements. The pics we grabbed as the engine came out to show the additional torque sections. We won’t show it all, as it’s our secret and experience that has perfected the little additions. 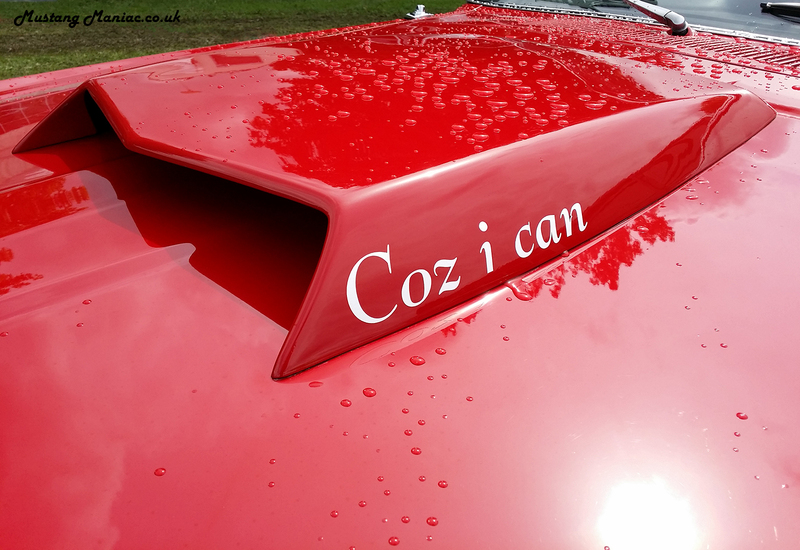 Of course if you see the car at a car show then you can have a look for yourselves. How many other restorers would think of, or even do this type of work based on a conversation of requirements with the customer? After masking up comes the all important etch stage. After the etching Yogi does his inspections and preps for his favorite part of painting, the primer. In what seems like a pointless waste of time the primer was then again blocked down before the proper paint job. That way we know that all was well and we managed to smooth out any uneven panels. The car was wheeled out into the yard waiting to go on the covered transportation truck. Next time we shall see her she won’t be an onion, she would be a pearl. 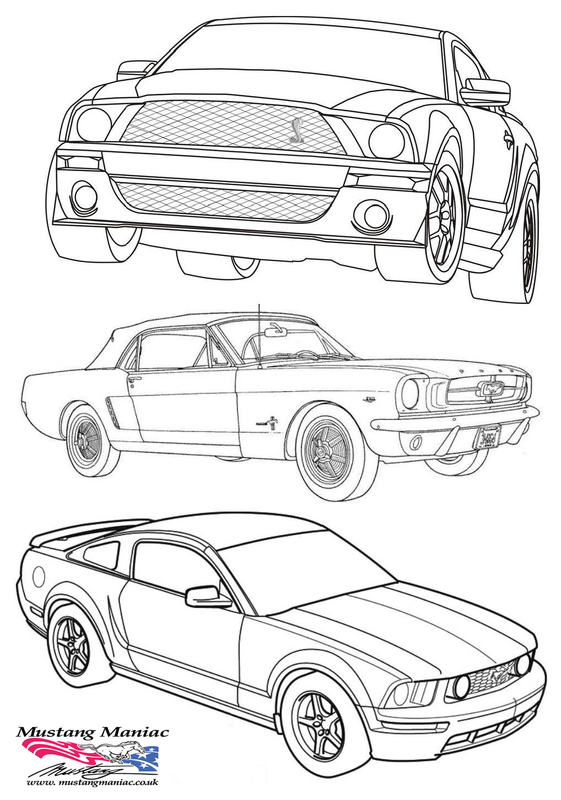 Yep, Adam will be selling these ride in electric Mustangs soon on the WebShop to the lucky little ones who want to be part of the Mustang scene too. Just how cool is this? We mentioned before the end of the year that we will be bringing you updates on a customers car he was going to buy from the USA. It turns out that the vendor has now been reconsidering the sale of his car after all. So the vendor needed to be sure and make up his mind, so money was discussed again should we say. The end result was long conversations on the phone where our customer has pulled out of the deal. Yes our was customer was gutted, but at these points in negotiations buying a car is a business transaction. It has to be treated that way or you could be taken advantage of letting your heart rule your head. It takes a strong decision to back out of something when you have set your heart on something, we have all been there. If our customer decides to go for the USA sale again we will continue the saga again. So for now it’s ‘case closed’, to be continued? Adam treated himself at Christmas and then made a video of it to reflect his passion for Mustangs! The question is – was he joking???? We didn’t need to post this today, but while we were working on the blog we thought why not, it can’t hurt to spread a little good feeling now and again, can it? 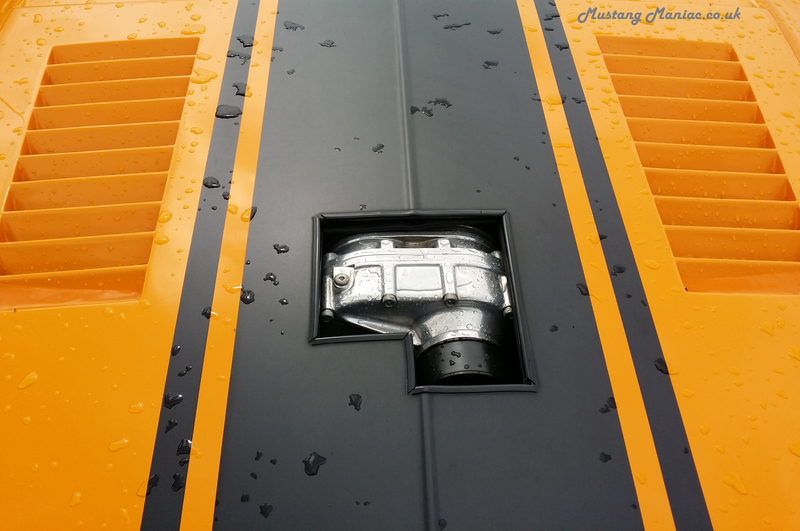 We have finished the little details of the blog and testing now, hopefully it’s all good in the world of Mustang Maniac blogging again, if not let us know we will let our Media team know and give them an earful to go with their hangovers! We decided to not change to much visually for our readers except that it should look a little tidier and cleaner now. But behind the scenes it makes our life a lot easier. Over the next day or so we shall be working hard by updating our little Ol’ Blog behind the scenes. Things may appear and disappear along with some information being updated. Don’t worry the WebShop will still be working as normal so you can order your parts as normal. The theme we were using is now no longer being fully supported and things started to become problematic with what we wanted to do. With any luck you will see a few subtle changes, but things should look cleaner if all goes to plan. By the end of tomorrow everything will be working as it should we hope, that is if our media team of geeks stop drinking the beer! 🙂 So if you click on something and it doesn’t work, please try again later. FaceBook, YouTube, Twitter etc. will all need to be configured as well. Thanks for you patience in the mean time. Just a very quick post to say have a great Christmas & Happy New Year. We just couldn’t let the holidays go by without a Mustang related Christmas post now could we? We are coming to the end of the year and we have now worked out the last opening time for the Mustang Maniac offices; they will be closed from midday 21st December until the 2nd January 2019. The good news is that the WebShop will be running as normal as far as we are concerned, but the rest depending on the post and other services etc. If you need any last-minute purchases or gift vouchers, make sure you order within the next few days to be sure of Christmas delivery. If you try to call us after the 21st December there will be nobody there to answer the phone, honestly there won’t be anybody to help you. But, if you email Adam he may respond when he gets a chance over the Christmas Break. This week has been all about Yogi getting the Onion ready for primer and paint.The huge amount of work being done for the prep of welding has now come together. The bear has been in the body shop with the welding equipment and we have gone old school, just as the car would have been built. More red oxide paint is used to cover the metal inside. The front of the car has an engine in place, it’s not the actual engine to go in the car, it’s a rare and a very much sought after 351ci Cleveland 4v 4bolt, that Adam said ‘I just found it laying around’!!! The dash area also red oxide and prep ready for welding in. The dash section is a critical structural element of the car and needs to be done properly to help the chassis rigidity especially on a convertible. With the spot welds in place it looks totally original as per the original builds. We mentioned above the ‘Old School’, We are sure you have seen this before from us, but we will show it again to you as well as the customer. The traditional brazing we use is like what the original cars had when they were first constructed. 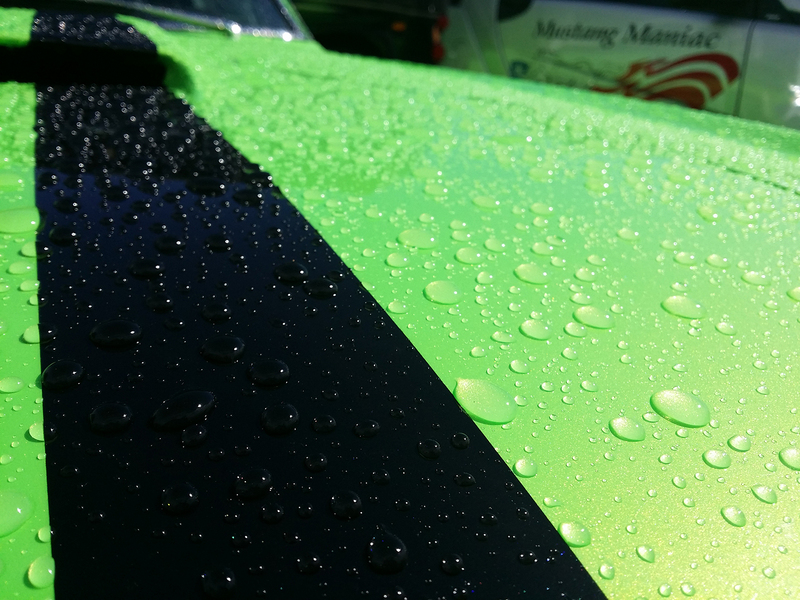 It’s a small detail, but it shows the attention to detail we give to our restorations and another skill set. With the sections in place and final painting, the seam filling begins. A process often overlooked by some, but not us. The engine bay to the body of the car welding. With the panels fitted at the back of the car and trunk in place, it now means that the bear can body prep to remove any minor high or low spots on the body work, also making sure all the parts are flush and even to each other. A true skill to get right. With the car suspension being fitted last week, a couple more bits have now been added. The attention to detail includes some zinc plating to the pedal bracket which looks amazing, but nobody will see unfortunately. The car is now fully back together and has a quick road test, we need to do a little more to give it the Mustang Maniac feel then she will be back with her owner. Adam has found a rare part pipe from the USA for a Cleveland engine. Adam doing what he does best decided that he could do little better and make it more widely available. The new mod pipe is thicker and stronger than the original. The new part features a knurled end that goes into the engine block, the other end has ribs to hold it in place onto the heater hose clamp. The coating has also been zinc plated. All small changes but will make a huge difference. We will have a break on blog as well until the New Year. A very busy week with lots going in the yard and we will bring you a story of a behind the scenes pieces of work that is taking the best part of six months to happen, but more on that a little later. We have had a lot of interest in the John Wick car as we always do when she is in the yard. Unlike the film this little lady is not mashed up and sounding like a bag of nails being kicked down the stairs. She was in for quite a big change or upgrade depending on how you look at it. The car in the films transmission was an automatic, the car we built was a manual as we were asked to build. Now after a little deliberation the owner, he has decided to swap over to an automatic like the car in the films. What people don’t realise is that swapping over the gearboxes is just the beginning. Then out with the pedal box, as you just can’t cut a pedal off as such, then remove the old gearbox linkage and centre console. We reused the original centre console to fit a bespoke Hurst Auto shifter in place instead of the stock build auto gear box lever. Yogi made up a template for the Hurst shifter and its relevant position to the new gearbox linkages. We had a strip of wood grain trim to match the original factory trim option, the template pattern would be laid and then carefully cut out the new openings. The console was strengthened with our own little secret process then replaced back into the car. Once everything was secure the shifter was properly mounted. A new starter motor was fitted as the linkage to the gearbox was fabricated, adjusted and fitted. New transmission cooling pipes were routed to the front for cooling as would have been on the original specification. Next up was the new pedal box and the throttle linkages to the carb which also had to be swapped over from the manual one. Once all that little lot was done the finished result is very simple looking, but a lot of work behind the scenes, The neutral disconnect wiring to be integrated to the wiring and ignition loom, the speedo cable, kickdown operation, carburetor settings, brake pedal height all have to be adjusted and set to defaults before a road test, then we tweak the adjustments once or twice more to get to the optimal performance set up for the car. Apart from the stress and aggravation of the manual gearboxes the autobox will now be smooth effortless and correct to the film now. Adam has had his ’66 Hertz Shelby in storage for a long time, after Cleo Shelby had signed it for him he decided to do a little work on her. The car runs but nowhere near how it should, so like most of these things start with the carb which has been sitting there for a for years getting gummed up and rusty. So the man or bear for the job Yogi stepped up to the mark for a strip down and rebuild. The dark art of a carb rebuild, jetting and mixtures will all be required on this 800CFM (yes 800) double pumper. Before – with the moving parts removed, gaskets removed and all to be restored and checked for any wear & tear before refitting. After – the carb rebuilt and put back together ready for the refit. 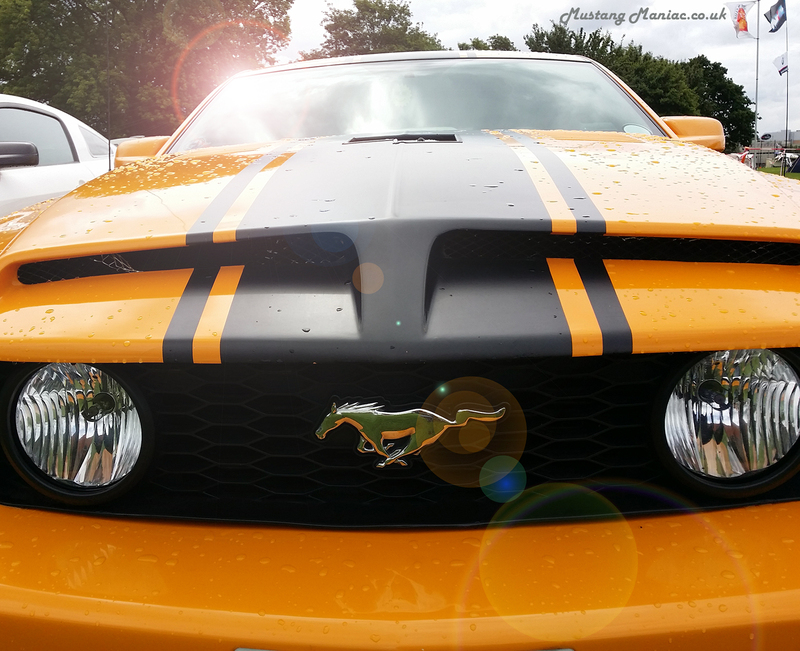 A very special favour for a ‘Boss’ using the world wide Mustang Maniac contacts. We have touched on this type of story a few times in the past, but we must stress that this is NOT something that Adam and Mustang Maniac does on any sort of regular basis. 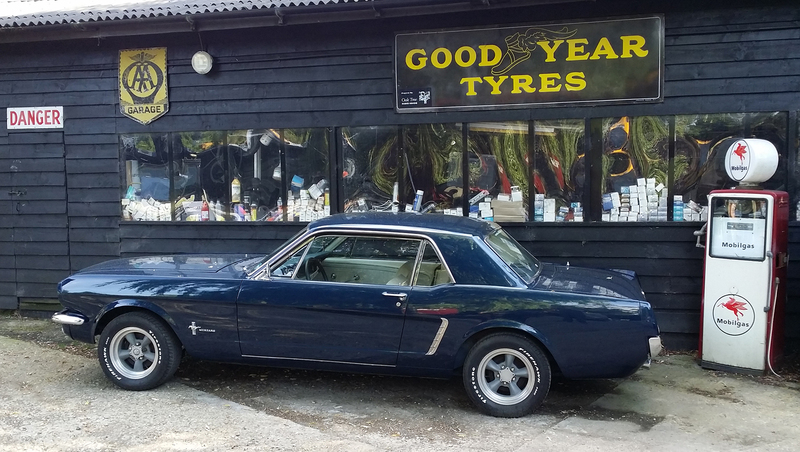 In fact this is a very good friend (within the very small close-knit Mustang Maniac inner sanctum as it were), as well as being a loyal customer who need some help. The conversation was had with Adam and he responded. We shall be covering this story as it happens to take you on a documented journey. It may go well with no problems, or it could be a nightmare. We haven’t documented this before but we thought we might share it with you this time as it was customer lead. ‘Thank you Adam for the very special help’, this customer as he has asked (me) to pass along. After the loss, well sale of his ’65 coupe, the search for a ‘new mistress’ (as he would say) has been eventful and fruitless for a while with every advert, paper, social media and website had been scoured and trawled over looking for the replacement. This is the sorry sight of a much-loved car being driven away by somebody else! Rumour has it there was a tear in his eye as she left. (It wasn’t a rumour by the way). This Mustang Maniac customer was looking for a certain style for his next car, and nothing was standing out, after seeing many in the Uk over many months, the cars over here were just not up to scratch (well there were some with scratches on the paint), or on the other hand just not what he was looking for. 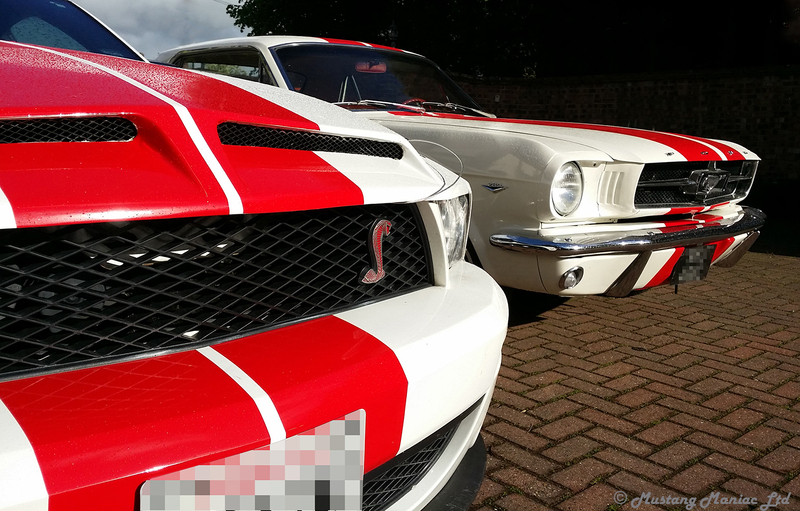 Frustration grew and Mustang Maniac steped in and give this customer some exclusive contacts that we use in the USA. The word was put out to Adam’s contacts to look for a likely candidate for the customers spec he had in mind. A couple of weeks later that word was returned with a few pics the new potential ‘mistress’ was found. Everything was now down to the customer to fine tune the deal, if this was indeed the replacement. The car in question happens to be a 1970 ‘Boss’ 302 clone fastback. The vehicle is quite rare for being a genuine two owner car from new, lime metallic green paint, luxury Ivy green interior, Mach1 package, a rare tilt column and fold down rear seat, factory rear louvres etc. Underneath, she sports a 331ci stroked aluminium headed motor, mated to a TCI reverse manual shift C4 gearbox, hooked up to a 8” rear with 4:11 gears and a posi traction diff. After many phone calls with the owner, hundreds of detailed pictures of the good, not so good, the bad and a video to help with the decision, the trigger was pulled to release funds for the new car. It’s well known that importing a car can be a daunting prospect; there are hundreds of shipping companies willing to take your money and bring your beloved car over by any means possible, not all of those options are good ways to bring a car back we might add. So again the customer asked us for some help and we pointed him in the right direction by giving him some reputable shipping companies to contact for quotes. The process for shipping is from Indiana to Miami docks. Then from Miami to the Uk, we wish him the best of luck in getting it to her new home. We aim to follow this customers journey, regarding transportation, shipping, insurance and registration and how it all goes for him. Once all the paper work and costs have been paid, it’s a case of then getting his new pride and joy to or to us for the Mustang Maniac safety check (see last weeks post) before we let him loose in it on the UK roads. Watch this space for more updates. It’s that time of year where our new delivery of the Limited Edition Mustang Maniac Calendars are in stock for 2019 year. There is a very limit run of these and to get one you just need to order anything to, or over the value of £200 and we will pop one in the order for you, free. Here is a quick preview of the calendar. If you order the Mustang Maniac Gift Vouchers for £200 or more you will also get the calendar, remember only while stocks last, once they are gone, there will be no more! The vouchers are available in £10 and £20 and can be used in the WebShop. The links for the £10 voucher is here or click on the picture below. The links for the £20 voucher is here or click on the picture below. There are only two more weekends before Christmas, just saying!